BISON is an online Broker Information System built for medium to large brokerage houses. The system is web browser based to allow brokers to securely manage current and historical data. 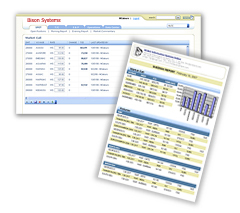 Once in place, the full BISON suite manages positions, fixtures, cargoes, market calls/rates with TCE, S&P, Period charters, operations, invoicing and report generation, all from one package.